Hino-san, a little while ago you said that you’d “researched” Ace Attorney. Could you specify some elements of the games that you thought were well done? Well, first of all I thought the characters and the story were absolutely fascinating. I was really impressed with how things developed in such interesting and unexpected ways. That’s always the first thing fans of the series point out, without fail. I thought the games were always one step ahead of my expectations, somehow, and I’d always find myself getting sucked into the details of the story. Another thing I was really impressed with was the “presentation”: the character’s actions, the sense of tempo with which the images and sounds were synchronised... I thought the games displayed a really satisfying attention to detail. As an example of what could be done with handheld games, they really had an influence on the Professor Layton series. I don’t think people who’ve played titles from both series would notice at first that the Professor Layton titles had taken inspiration from Ace Attorney, though. I think you’re right. The feeling they get while playing might be similar, but the games each have a distinctive interface, and their general approach is pretty different too. Both games have a “feeling” that connects with players on a deeper level, that’s for sure. What did you think when you saw the Professor Layton games, Takumi-san? Well, I’m from the generation that was brought up on Akira Tago’s Atama no Taisou12 books – I think I managed to solve them all! – so when I first learned about the Professor Layton series, I thought it was really doing something amazing.12. Atama no Taisou: a series of puzzle books, published by Kobunsha. 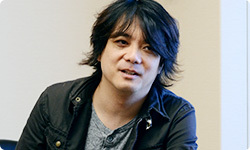 Their author, Professor Akira Tago, acted as puzzle supervisor for the Professor Layton series. It’s funny you should mention that, because before Nintendo released Brain Training (in Japan) in 2005, we also investigated the possibility of doing something with Atama no Taisou as a theme. In the end, that was what led us to release Big Brain Academy13. It seems Hino-san and we were working in sync, somehow.13. Big Brain Academy: a brain activity game for the Nintendo DS system. It was released in June 2005 in Japan. I actually think there were a lot of customers who bought Professor Layton as their next title after Brain Training. I think that was one of the background factors that allowed the series overall to develop in the way that it did. Looked at from that point of view, Professor Layton and Phoenix Wright are diametrically opposed when it comes to their outward approach towards game design. Professor Layton was aimed at people who don’t usually play games, while Phoenix Wright was made for game fans. However, while the interface that the player sees is pretty different in the two games, at their very core they are both the same. I suppose this latest title is for everybody, then. That’s right. It’s aimed at all kinds of player. In the early days of the Nintendo DS system, immediately after Brain Training and More Brain Training14 became hits, the DS market became really big, but tended to be rather biased towards certain tastes or player preferences. Now with Nintendo 3DS, thanks to the efforts of creators like you, I feel we’re developing a hardware platform that’s suitable for everyone. I think it’s a really good situation, so I believe we can expect quite a reaction to this title.14. 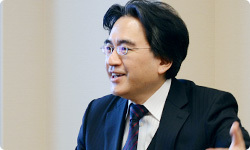 More Brain Training from Dr. Kawashima: How Old is Your Brain? : a software title for Nintendo DS. It was released in Europe in June 2007. Now, while your games may have been the same at the core level, the two series had previously existed totally separately. As the story writer, Takumi-san, it must have been difficult to bring the two things together? How did you go about creating the story for this collaboration? For the first six months or so, I would visit LEVEL-5’s Tokyo office to have face-to-face meetings with Hino-san and other members of the team, and we’d all just present various ideas to each other. There, we were shaping up the idea of witch trials, and someone from LEVEL-5 suggested a story about a supervillain who writes stories that come true. We basically then fused each other’s ideas together. Did this process of “presenting ideas” that you mention ever become competitive? Like a battle of wills, rather than a discussion? No...I never personally thought it was competitive. It was a little different to what I was used to, though. Usually I completely devote myself to a story, and get really deeply involved with it within myself. I’ve also got complete control over it. This time, other people contributed various elements. That was the biggest difference I think. Having other people write things that I would never have dreamed of and contribute all sorts of ideas was a really interesting experience. Was it then a matter of your drive and energy putting the whole thing into motion, Hino-san? Well, the development process was something we all embarked on together, of course. From my point of view, my job was to arrange all the various tasks so that Takumi-san, as the main staff member, could work to the best of his abilities and make the most of his talents. There’s a real difference between a title “created by Takumi-san” and a title “supervised by Takumi-san” isn’t there? Yes, they’re totally different things. At an early stage of development, I was shown a demo of a trial from Professor Layton vs. Phoenix Wright: Ace Attorney, which had been produced under Takumi-san’s direction. Quite a few things have changed in this new title, but it was a really exciting demo, one that gave me that sensation of playing Ace Attorney for the first time in a long time. It sounds like you could really sample the atmosphere of Ace Attorney in that demo. Takumi-esque! (laughs) When did things feel like they first “clicked” for you on this project, Takumi-san? From what you said earlier, it sounds like it happened quite early on. Actually – and I’ll probably get into trouble for saying this – but I don’t think I finally felt ready to give this project everything I had until this year (2012), around the time that the two companies really started to focus on creating their respective parts of the game. Quite late into the development process, then? Yes. Looking back now, I realise that I allowed myself to put all sorts of things off until I was ready to fully commit myself to the game. That’s a big regret for me now. When two companies with different cultures work together, it’s only natural they’re going to be sort of dancing around each other during the early stages of a project. After a while, though, their true natures shine through and come into collision with each other. I just think it takes a little time for that kind of real conflict to begin. My stance, from beginning to end, was that we would do things as Takumi-san wanted. My staff often had different opinions, and I had to tell them on a number of occasions that they should do as Takumi-san wanted. It seems to me that your main duty as producer for this title, Hino-san, was to allow Takumi-san the freedom to make the most of his creative talents. Would you agree? I definitely would. For this title, I dedicated myself to motivating Takumi-san, and enabling him to work at full capacity. In that sense I think things really kicked into gear during the second half of the project, as though Takumi-san was gradually getting powered up, or growing in influence.